Let me tell you the story of my relationship with Belladonna Naturkosmetik*. You may remember this post (here) where I featured my go-to shopping destinations which already included Belladonna. Today, I’m sharing more about this unique and pioneer eco company. If you’re interested, I also have a green beauty shopping page (here) that is tested and approved by yours truly (in terms of service, quality, and selection). STORYTIME: My green journey started a decade ago. At that time, the number of eco stores was significantly shorter. It was quite the challenge for me as there weren’t any brick-and-mortar stores nearby, thus Internet turned out to be my sole resource. This is precisely how I came across Belladonna (oh Freude!) which was one of the only e-shops shipping all over Europe. Back then, Belladonna stocked over a dozen brands, including the entire Dr. Hauschka line. I remember ordering their clarifying toner, mask, and concealer, ultimately leading me to fall into the bottomless pit that is the world of green beauty. It felt like Alice in Wunderland. The service I experienced was impeccable, with fast shipping and accessible customer service. In retrospect, I owe a bit of my green beauty passion to Belladonna since I had finally found a place to indulge and try different eco brands within a few clicks. BACKGROUND & SERVICE: Belladonna is an eco-pioneer and can boast a longevity that forces admiration. The first Belladonna shop was opened in Freiburg in 1992 (still open today), followed by the online shop which was launched in the early 2000’s. In 2016, a second branch opened in Berlin. Belladonna also has in addition to the shop, a wellness spa “Belladonna Kosmetikstudio”, where you can enjoy facial treatments from Dr. Hauschka, The Organic Pharmacy, and Annemarie Börlind. BRAND SELECTION: With almost 60 brands stocked in their store, BellaDonna offers a large variety of products. Makeup, skincare, body care, hair care, wellness, and men, all aspects are covered. 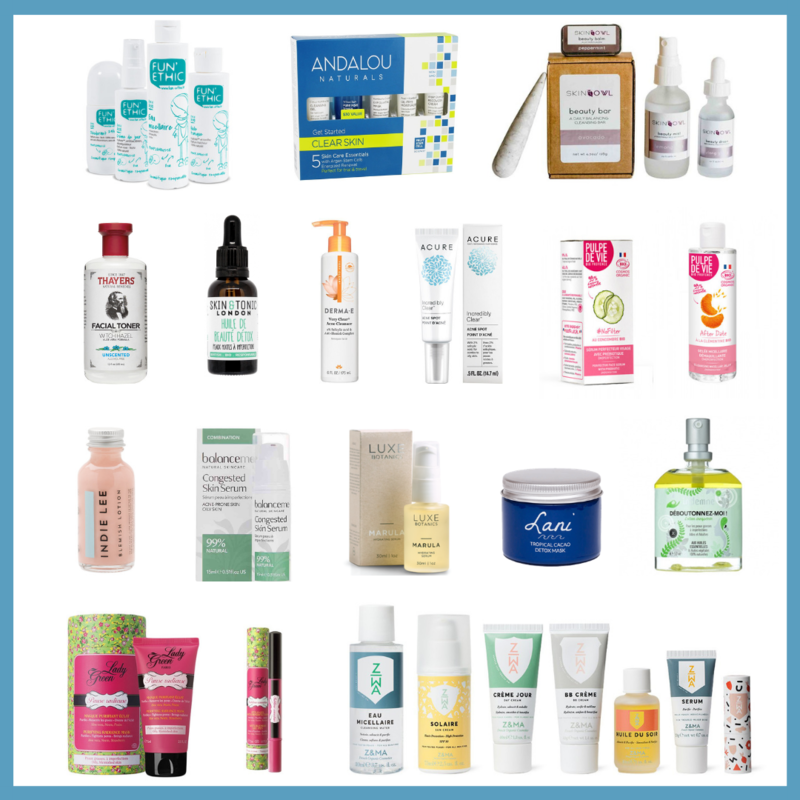 You can shop your entire beauty and care routine in one place. Their aim is to welcome all shades of green, every generation, and budget. You’ll find an eclectic mix of international brands: classics such as Dr. Hauschka (they are one of their authorised and approved retailers), John Masters Organics, Lavera, Primavera, Weleda, Logona, I+M, Ilia, to more indie brands such as We love the planet, oak, Klar Seifen, Angel minerals, Binu, or Brooklyn soap to name a few. Below, the complete list of brands found at Belladonna to this day. The entire list of brands carried by Belladonna Naturkosmetik to satisfy your green beauty shopping needs. I thought it would be nice to highlight a couple of brands which are not necessarily new but remain more discreet. Their latest addition to the shop. Angel Minerals is a German indie mineral makeup that is free from synthetic ingredients and talc, they are non-nano, vegan and made in Germany. They have a highly pretty selection of colors, makeup-lovers brace yourself. Und Gretel is another German brand. 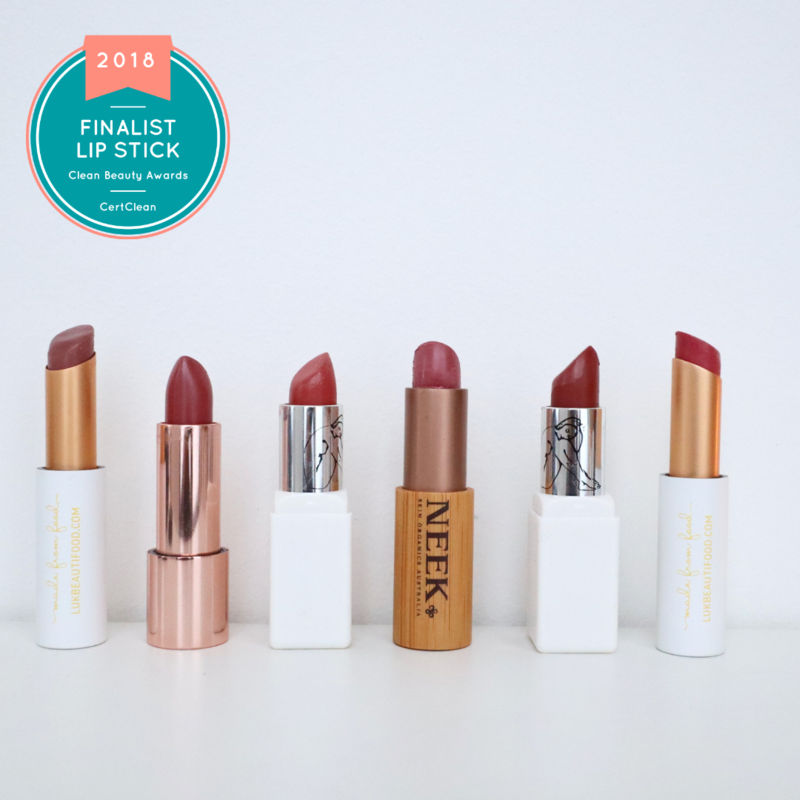 Founded by makeup-artists, it is an eco-luxe brand with a minimalistic spirit. The latter does not stop them from bringing out some vibrant colors. If you already enjoy Kjer Weis, Ilia Beauty, RMS, then Und Gretel is right up your alley. The makeup brand, Marie W, has been around for 11 years, yet its founder, Maria Wißler had been in the organic/eco-industry for 20 years prior to that. Maria Wißler reunited in one brand, three of her passions, namely animals, nature, and cosmetics. Her line is cruelty-free, NATRUE certified and formulated with high-quality minerals and plant extracts. A holistic brand I’ve known for years and very well established in Germany. They obtained the prestigious Demeter certification. The brand follows the principles of spagyric medicine, an alchemical method in which high-quality essences distilled from plants and natural salts dissolve from their ashes. Only the purest ingredients are obtained in this procedure. Individual ingredients are combined and work in synergy to create effective formulations, tailored for every type. The salvia face cream was one of the very first green products I used and it’s amazing. The brand that introduced me to kajals, they have a beautiful selection of colors in addition to a top quality: made with Demeter ghee and beeswax, organically grown herbs and 100 percent natural mineral colors. Florascent is a 100% natural perfume brand. Their Eau de Parfum is created from pure essential oils, conventional and certified organic. They are free of nitro musk compounds, preservatives, free of artificial synthetic scents, aromas & colors. A supplement brand certified organic, vegan and natural. The products are made in Germany. Vitamins and minerals come from plant-based sources, fruit and vegetable extracts. The ingredients are certified organic and free from pesticides and synthetic elements. A Dutch company which originally started out with deodorants but have since expanded to skin/body care. The products 100% natural, vegan, aluminum-free, with mineral non-nano zinc-oxide. An entire cosmetics line based on organic Aloe Vera. Aloe Vera is an amazing soothing and regenerating properties ingredients and Santaverde has been utilizing them for years. The raw materials are primarily from organic farming and certified wild collection. The bronzing fluid is an outstanding product to impart a sun-kissed complexion while nourishing your skin with botanical extracts. Works for all skin types. My mom and I are both huge fans of this product. I also adore the Neem hair tonic which is a staple in my hair care routine during the winter when my hair feels more fragile than usual. I shared my love about it on Nath’s awesome website where I spilled my spring makeup bag (here). They are creamy, long-wearing, non-irritating and they come in the most stunning colors. Can’t get any better. Just like Dr. Hauschka’s, Less is more has an incredible range of hair care products. I’ve been using a couple of their hair serums but the rose serum is beautiful to heal and nourish your mane. You know my love for Ilia, the brand that made me fall in love with eco lipsticks, they give MAC lipsticks a run for their money. Reviewed (here). It is one of the daintiest and lovelies rose floral waters I have tried. Whamisa is one of the only certified organic Korean beauty brands and you get a taste of Korean beauty minus the compromising ingredients that usually come with certain K-beauty beauty products. Heaven for essential oils lovers. Belladonna has their entire range and you can enjoy the benefits of aromatherapy to the fullest as Primavera is high-quality. Excellent shampoo for a fine/oily scalp, it cleanses without disrupting the natural oil production and keeps the scalp clean and healthy. One of the OG hair care brands, John Masters Organics came up with products specifically targeting to treat scalp issues; the scalp volumizing treatment for fine/thinning hair is a product I’ve used for years. Results guaranteed. Reviewed (here). The loose powder foundation smells of fresh roses and makes your skin silky soft. The coverage is great and for a mineral foundation, you don’t get the cakey feel as the powder is finely milled. The lipsticks are also worth checking out, Zuii has a couple of unique colors that I have not seen anywhere else. I reviewed it (here). A budget-friendly illuminating eye cream that will give your eyes a more awake look while nourishing your eye area. It is creamy but not overwhelming so I did not get any milia from its use. Belladonna also has only one supplement brand precisely because this one fits within their high-quality standards. The daily biotic Komplex is a great probiotic supplement that is vegan. Vegan probiotics supplements do exist but are not always accessible. I guess this omega-rich oil should be called the ‘blogger face oil’ because it is a product that supposedly protects the face from the blue light which emanates from our computer screens. I’m very curious to see how it performs. Another one to include in Blogger care kit. spending too much time in front of a screen can cause eyes to dry out. The eye revive is a must to soothe strained and tired eyes. Total curiosity with this face serum called the Hangover serum. I do not drink alcohol, but apparently, this is specifically formulated to give your tired/dull skin an instant reboot and lift. Not too keen on the contouring craze but this seems like a more natural approach to face sculpting, as the colors are subtle. SHIPPING: Belladonna ships all over Europe but if you’re in Berlin and Freiburg, make sure to stop by and enjoy the brick-and-mortar stores. Last, but not least, I am concluding this post with a lovely little surprise, courtesy of Belladonna. They are giving away 6 vouchers to my readers! Head over to my Instagram page (here) to win a 100 Euros voucher to use on Belladonna Naturkosmetik. 6 people will be picked. The first winner will win the 100 Euros voucher, and the 5 runner-ups will win a 25 EUR voucher. Don’t miss it! (Open for residents all over Europe – so not just residents of the European Union). Good luck and I hope you get to experience the Belladonna magic! *This is a post in partnership with Belladonna/sponsored. My thoughts and opinions always my own. See my disclaimer on how I work with brands/companies (here). Face oils and serums for oily and acne-prone skin. Wish we had belladonna. Sounds like a cool green, ecofriendly hot spot! Behind every eco store is a soul : meet Angelika, Julie, Rayna, Letizia and Emilie.